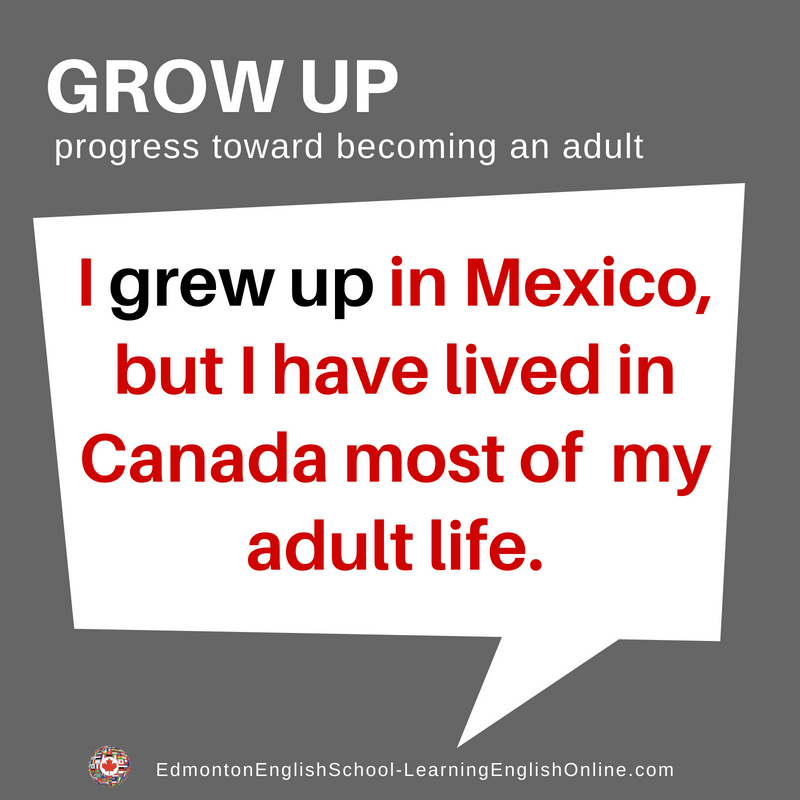 What is the Meaning of GROW UP? 2. She grew up in Mexico. She moved to Canada to finish her university degree. 3. When we were growing up, we spent a lot of time with my grandparents. 1. I can’t believe you did that! When are you going to grow up?! 2. Grow up and stop acting like such an idiot!